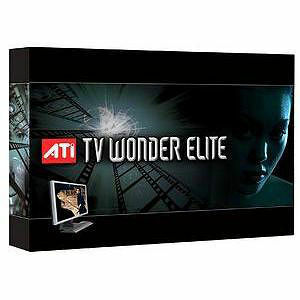 Get a high-end home theater system with the flexibility and advanced features only a PC can offer with ATI's TV Wonder Elite. This revolutionary product adds consumer electronics quality video to your PC for a fraction of the cost of expensive separate components. Featuring high quality TV and stereo FM radio, TV Wonder Elite delivers full hardware MPEG-2 compression, a 3D comb filter, and advanced noise reduction for advanced Personal Video Recorder capabilities.